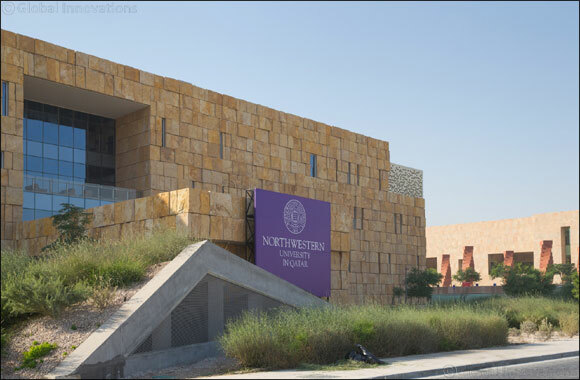 Doha, Qatar – October 27, 2018 – Northwestern University in Qatar (NU-Q)’s upcoming Qatar Media Industries Forum will discuss the role of social media and its effect on influencing political debate and conversations in contrast to the traditional Qatari majlis. The forum – Social Media and the Majlis, Technology Confronts Tradition – will also address how digital platforms and messages are influencing communication in Qatar from social conversations to business communication, from entertainment to day-to-day life in general. Speaking at the forum will be Mohamed Jaidah, owner of 60 Degrees and group executive director of Jaidah Group; Gerd Nonneman, professor, Georgetown University in Qatar; and Manar Al-Muraikhi, director of community and public relations, Ooredoo. The panel will be chaired by Banu Akdenzili, associate professor of communication at NU-Q and a digital media expert. NU-Q’s biannual Qatar Media Industries Forum (QMIF) is a unique platform that brings together industry leaders and professionals to engage in debates and discussions on a variety of topics within the realm of media and communications. The QMIF was founded by NU-Q in 2012 as part of a wider effort to provide thought leadership, educate future media and communications leaders in Qatar and the Middle East and produce ground-breaking research on industry trends and media consumption in the region. One of “our goals is to encourage and support the development of media and entertainment firms in Qatar and the region,” said Dennis. “We are gratified to see how these efforts to strengthen the talent pool in Qatar and the Gulf states have paid off over the years,” he said. Previously, the QMIF tackled issues related to the international media coverage of the Qatar Blockade, sports media and Qatar’s future, as well as, regional media use trends and cultural attitudes, among other topics. At the Monday forum, NU-Q will distribute a five-year retrospective report of its signature studies tracking media use, social media, and freedom of expression in the Middle East region. The forum will take place on October 29th at the W Hotel in Doha from 8:30 a.m. - 10:30 a.m.